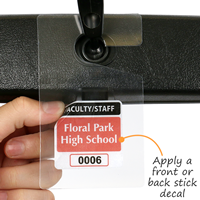 A Clear Mirror Hang Tag is the perfect option for drivers who do not want to apply a parking decal to their car or if they have tinted windows. 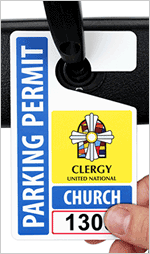 • The 15 mil PVC material is flexible, but durable. 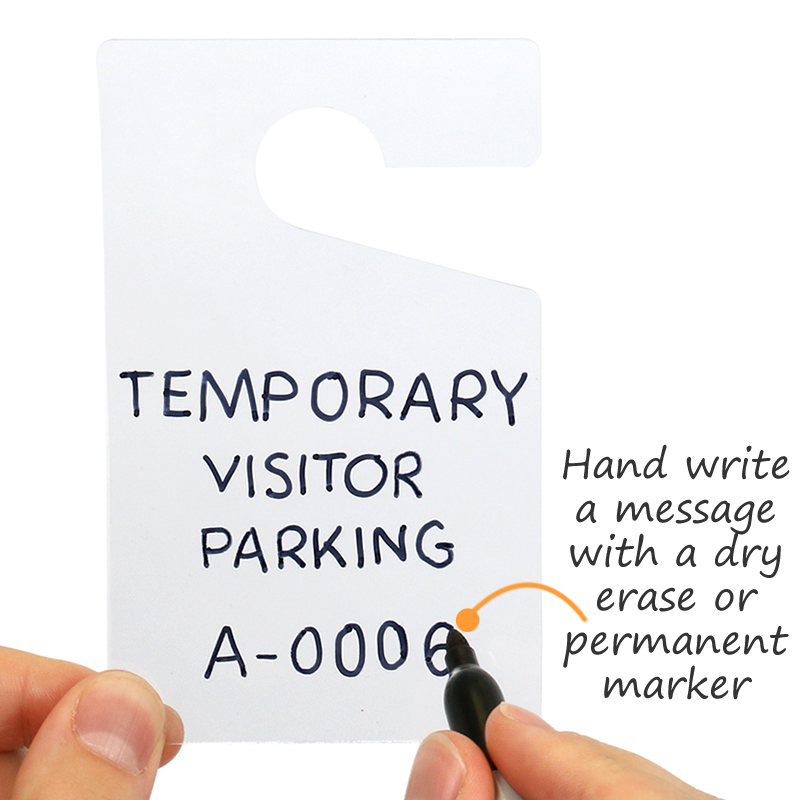 Tags can withstand a wide temperature range or harsh environments - reuse the tag over and over again. 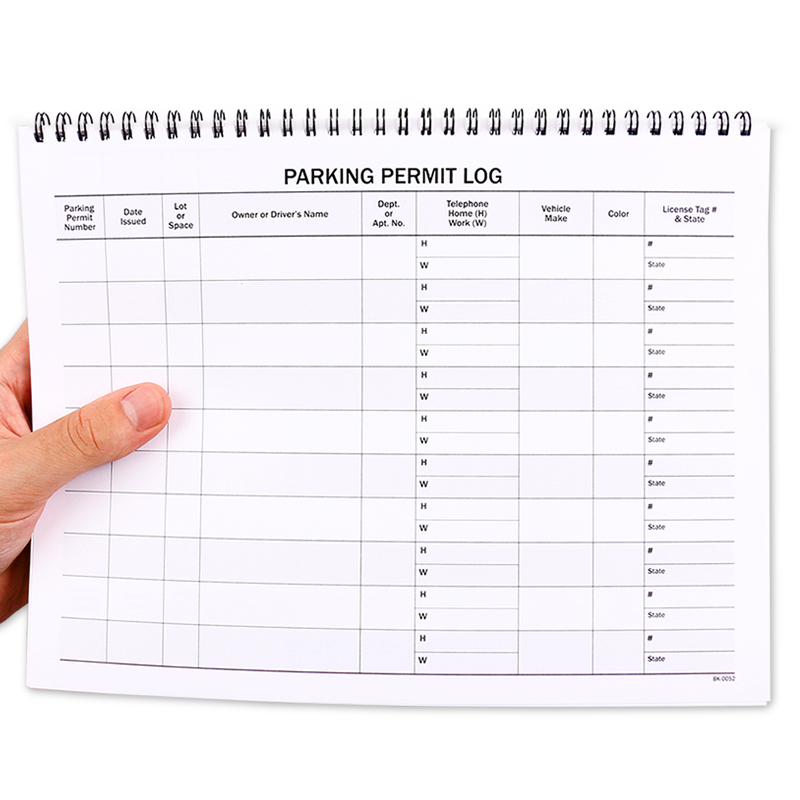 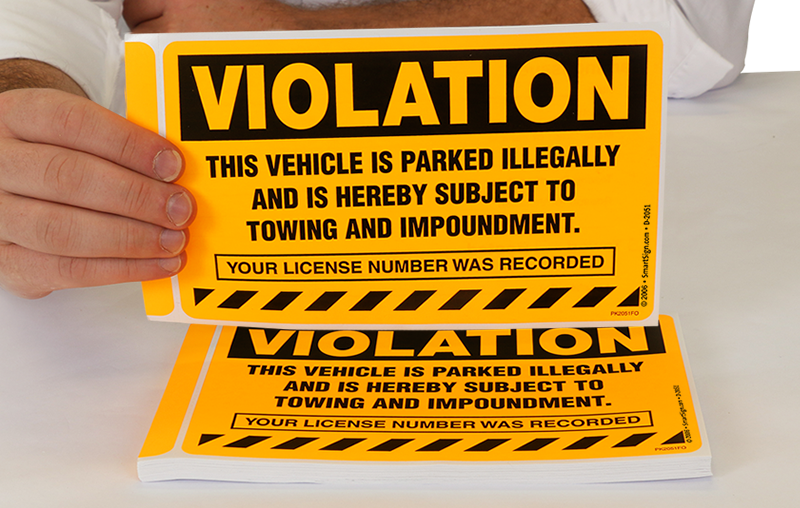 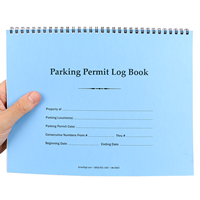 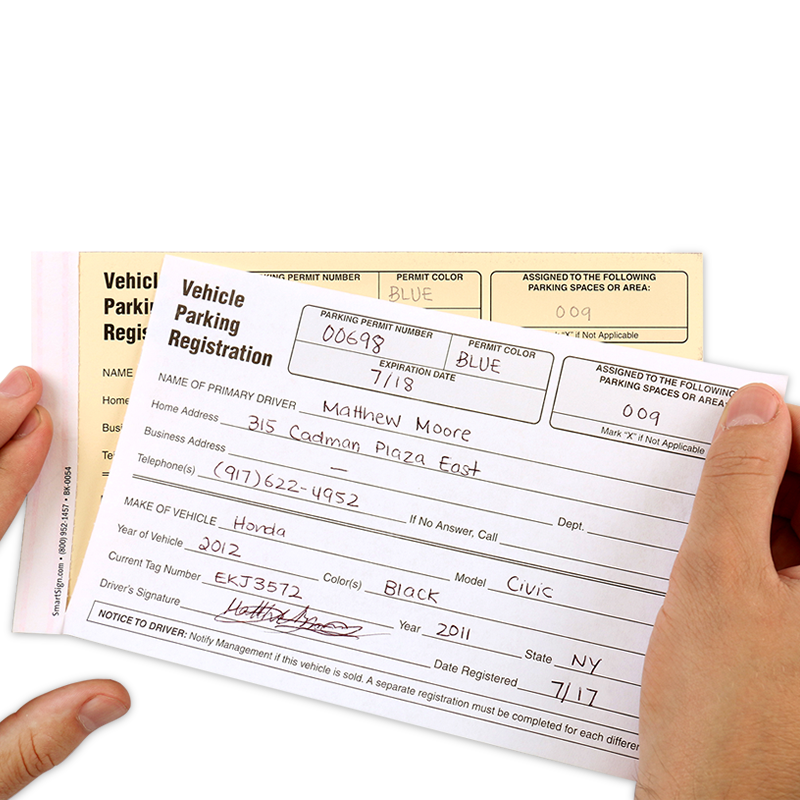 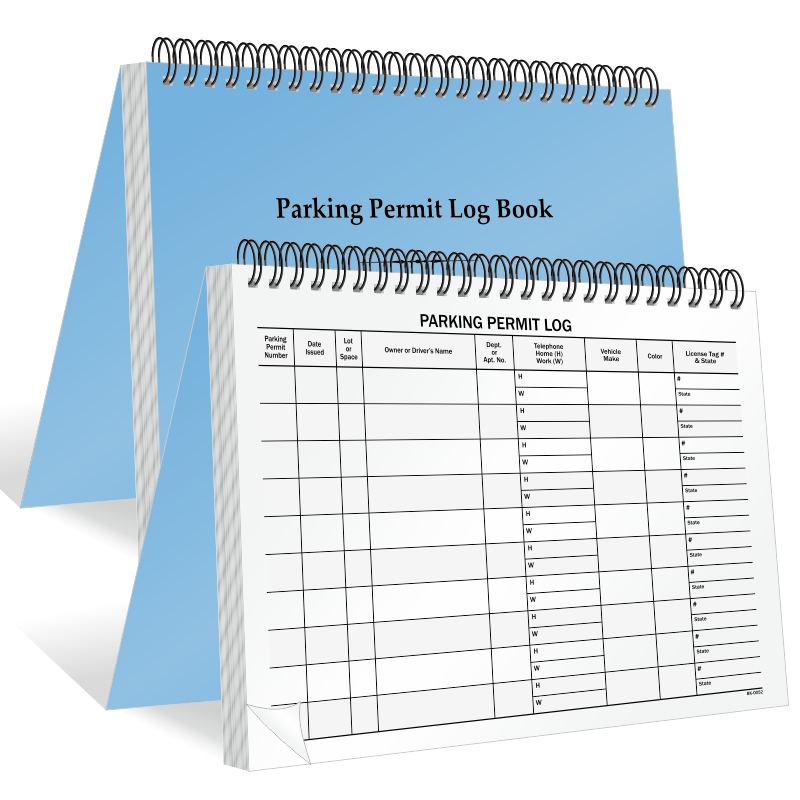 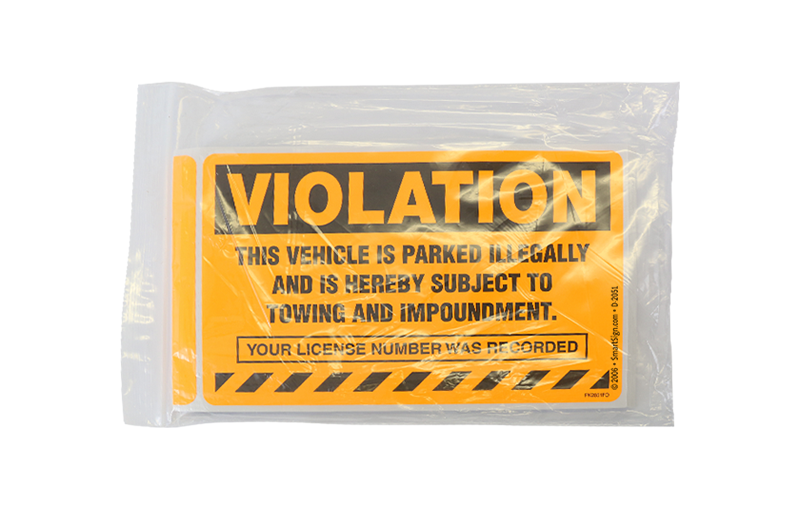 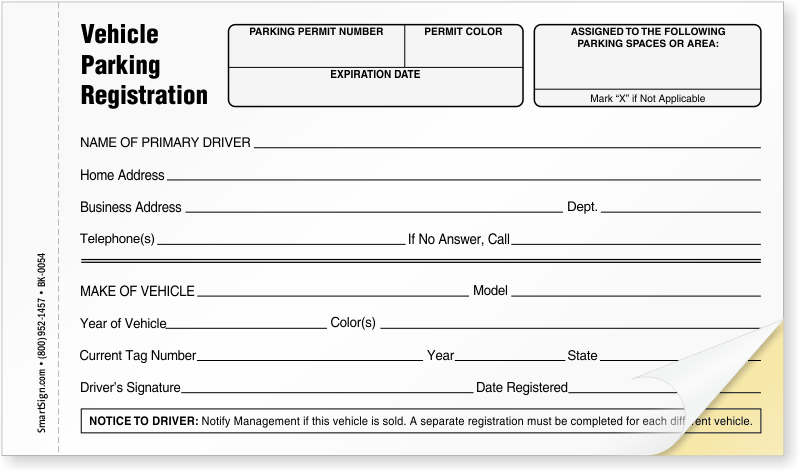 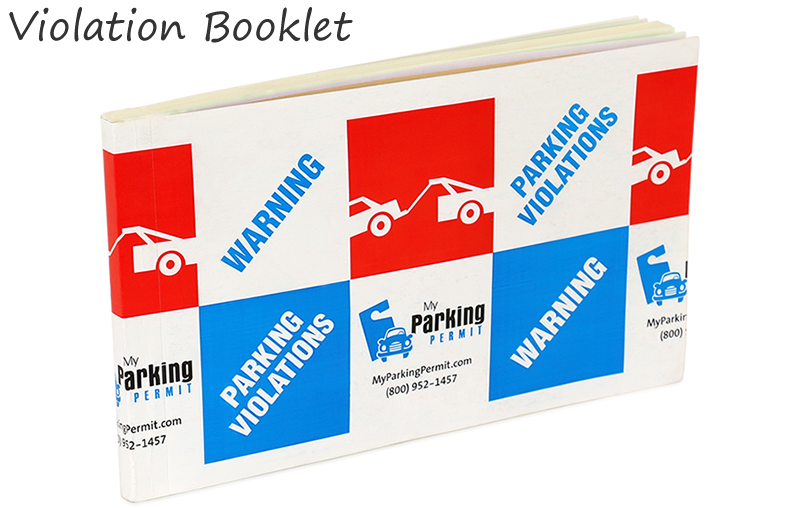 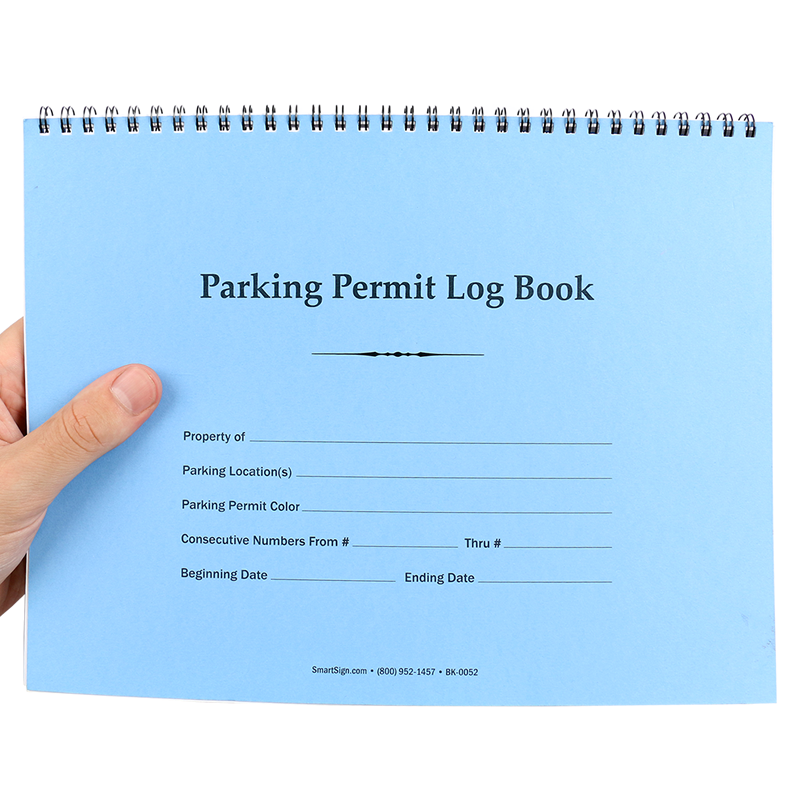 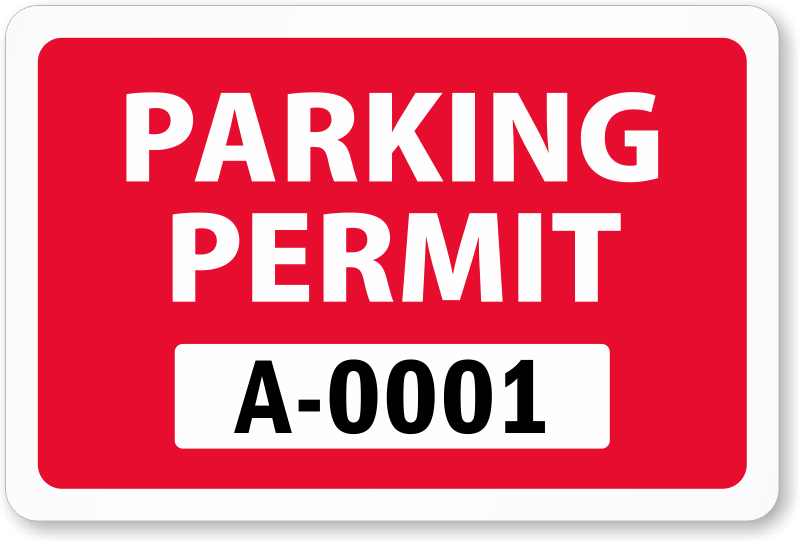 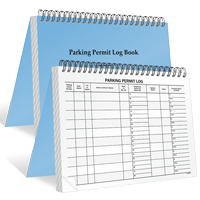 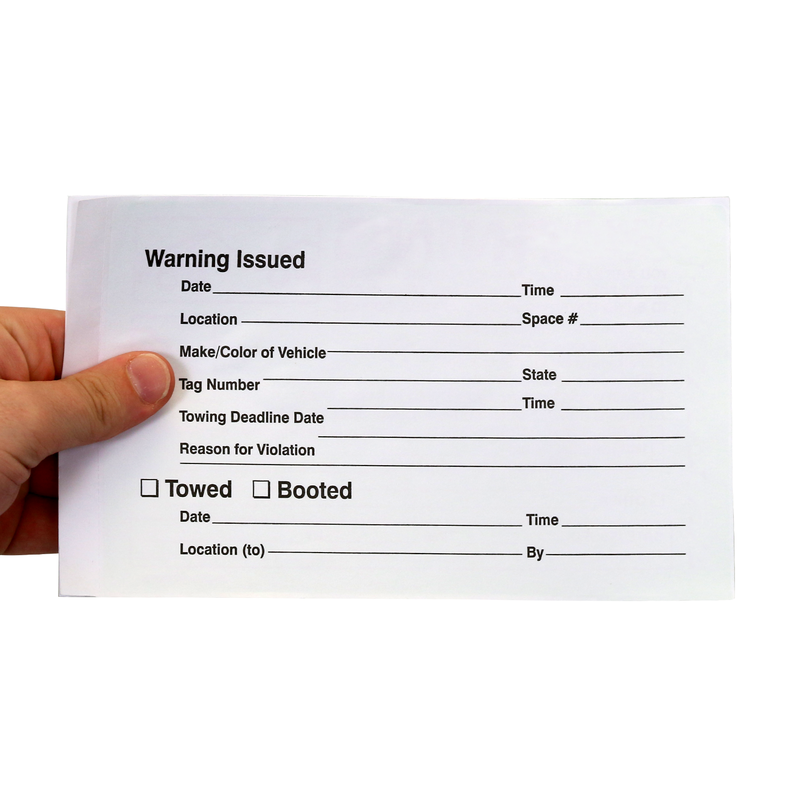 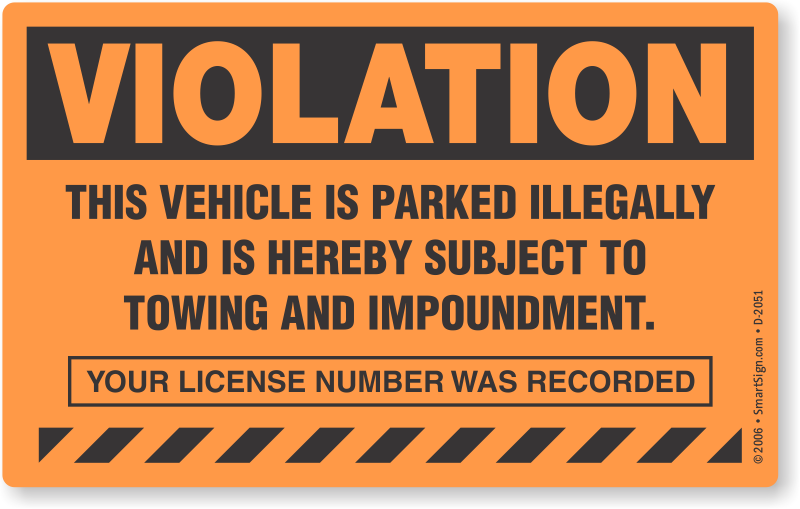 • Tags are completely transparent and are receptive to any of our front stick or back stick parking permit decals. 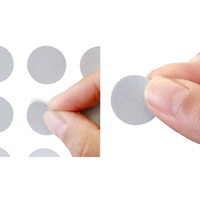 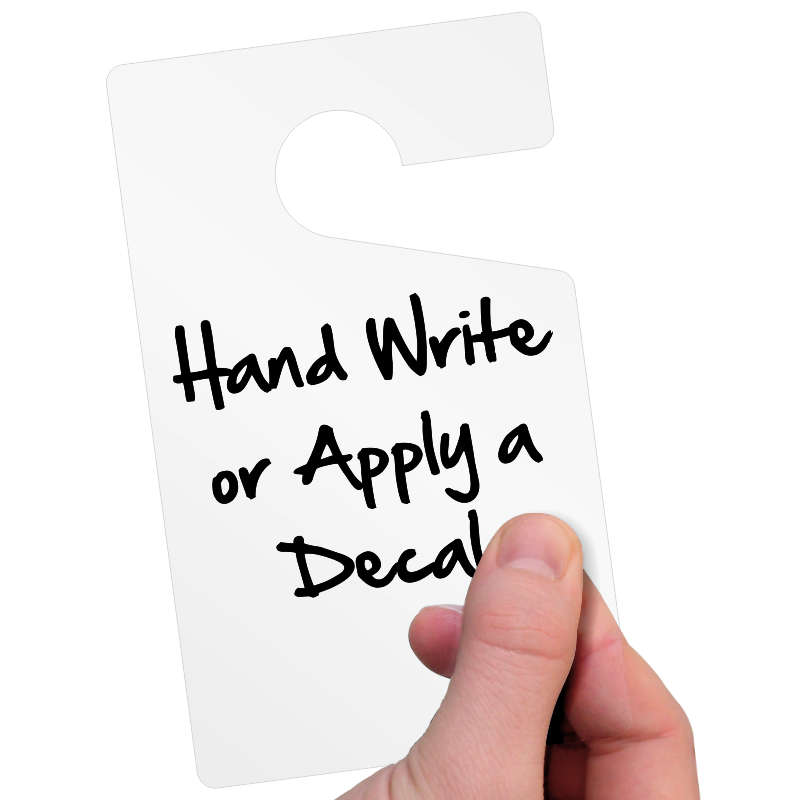 The recommended max decal size is 2.875" W x 3.125" H.
• Clear tags can also be used to write your own message. 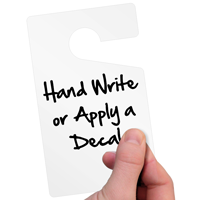 Clear PVC is receptive to permanent markers, permanent pen, and dry erase markers. 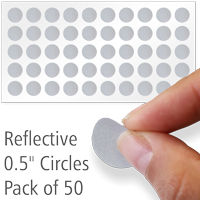 • The mirror cut-out easily fits and hangs on a rear-view mirror. 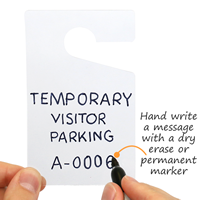 Tag can also be hung from door handles, pipes or anywhere else you want to display a message. 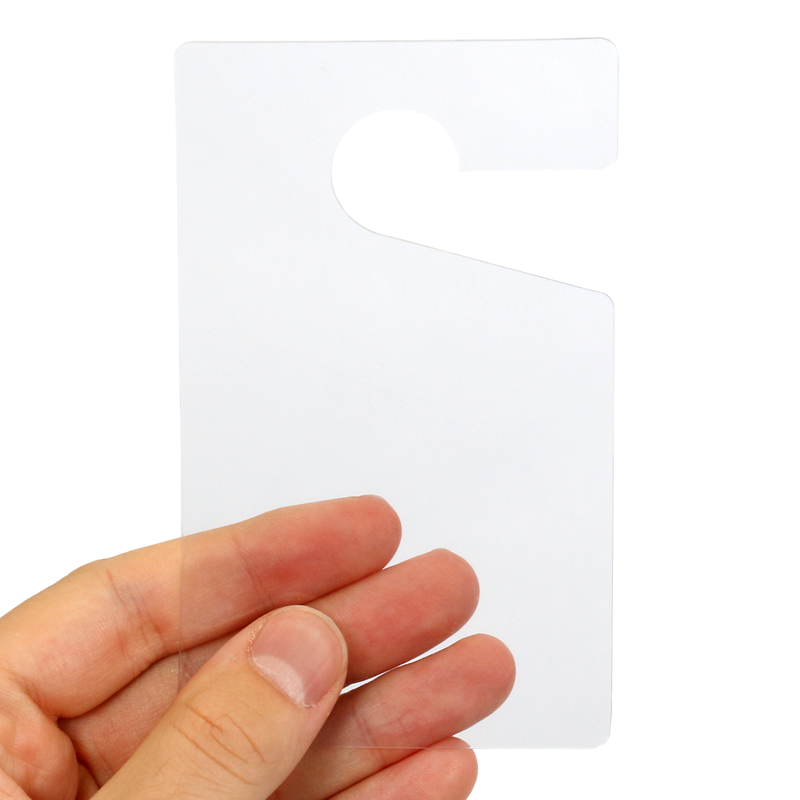 • Constructed from clear 15 mil thick polyvinyl chloride (PVC) which has high strength, flexibility and durability. 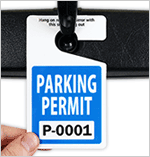 • PVC tags are water-resistant, offering outstanding protection against all types of precipitation. Dirt, grease or oils can be easily wiped away or completely cleaned by using a non abrasive cleanser such as Windex. 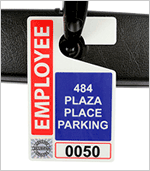 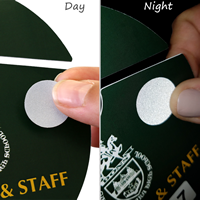 • Hang tags can be used for a wide variety of applications. 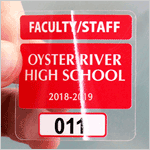 Hang tag cut-out is 7/8" in diameter. 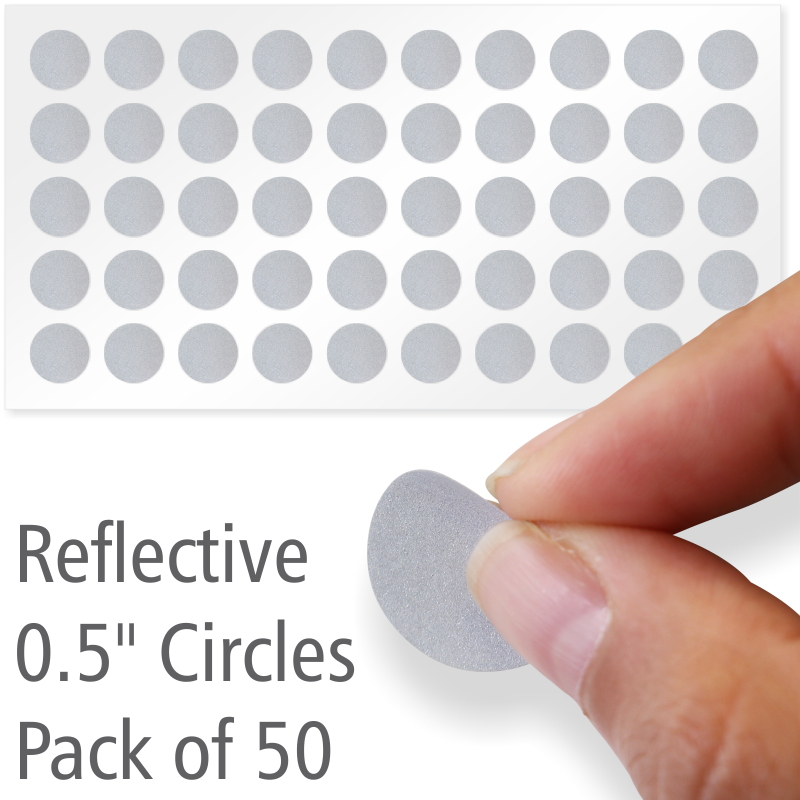 • Great for indoor and outdoor use. 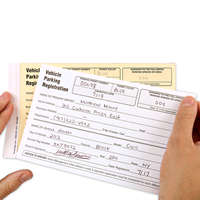 Tags withstand a max temperature of 152°F, which is well above the average temperature reached in cars exposed to sunlight, or greenhouse conditions.